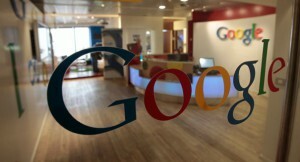 Google’s online security plans, is this the death of the password? The giant corporation Google is always on the front line when it comes to innovation, the company is researching another idea that will bring an upheaval to account access, by making the need for passwords unnecessary. The corporation has just announced that it is giving up on guidelines to password creation and it is opting to look for a better option, which is the interesting suggestion that web users who are security conscious, carry a physical key like gadget in favour of phasing out passwords to access accounts. The small gadget can take any numerous physical shapes such as jewellery or even a ring but will possess a tiny smart pad, which will hold the individual identity of the web user on it. The device will operate through the customary USB dock, where it will be put in machines like laptops. The device will then feed the machine the identity of the user and permit access to accounts through sites that will be secure. It may seem like a retrogressive move from digital to physical, but the corporation figures that it is an avenue worth exploring, as the removal of passwords will give cyber criminals a harder time trying to hack into accounts. In the mean time, there are other options when it comes to online defense, and the specialists in the field have made a proposition to change from using passwords with the utilization of Near Field Communication (NFC) expertise. The NFC will grant users the control of their accounts from other devices such a stroke of a smartphone. For the experiment to work, Google will require the involvement of the millions of websites for it to make the idea in come into fruition. To make this happen would also involve the persuasion of the web users on the advantages and disadvantages of lugging the gadget around with them everywhere that they go. The USB Yubikev is the trial product currently undergoing testing but the information from the employees suggests that mass production of the same is still quite a long way off. Until the distant future comes closer, you can take charge a virtual private network server, which works by providing you an additional security layer. It will keep your private information private, while granting you some level of peace especially over an unsecured network.